The researchers used information from the Women’s Health Initiative (WHI), whose participants were aged 50 to 79 at the start of the study in 1993. More than 160,000 women answered annual questionnaires detailing the fractures they experienced during more than a decade of follow-ups, allowing the researchers to detect fracture trends among them. The researchers examined the types of non-wrist fractures the women experienced following their initial bone break. 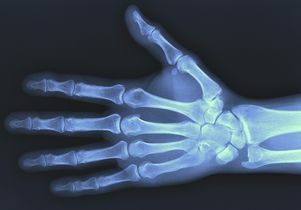 But the findings indicate a “substantial missed opportunity” to devise interventions to prevent subsequent fractures in women who experienced a wrist fracture, the researchers write. Women who suffer such fractures should undergo bone mineral density testing, and women with a bone mineral density T-score of equal to or less than -1.0 should be diagnosed as having osteoporosis, they write. The WHI program is funded by the National Heart, Lung, and Blood Institute, National Institutes of Health and the U.S. Department of Health and Human Services. Study co-authors are Kathleen Hovey and Jean Wactawski-Wende of the State University of New York at Buffalo, Jane Cauley of the University of Pittsburgh, Christopher Andrews of the University of Michigan, Jeffrey Curtis and Nicole Wright of the University of Alabama at Birmingham, Wenjun Li of the University of Massachusetts, and Meryl LeBoff of Brigham and Women’s Hospital.